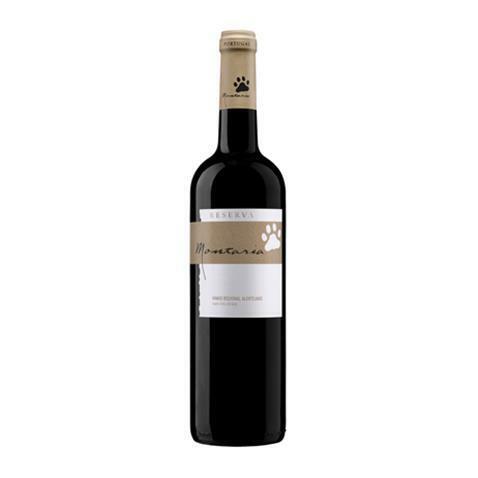 Montaria elaborates this Montaria Reserva 2015 , a red wine from the region of Alentejo that is based on the best of trincadeira, syrah and aragonêz of 2015 and comes with an alcohol content of 14%. The Montaria Reserva 2015 is the ideal red to combine with mushroom risotto and cheese. 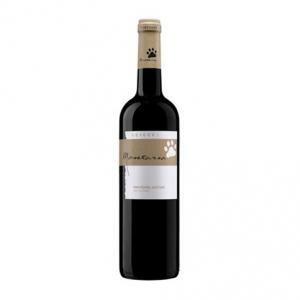 Uvinum users reviewed this red wine with 4,8 of 5 points. As you drive over the hills of the Alentejo region in the heart of Portugal, you may stumble across the vineyards of Parras Wines, home to the Montaria Reserva 2015. There, nestled in the hilly plains of the area, hide old vines from Aragones, Syrah and Trincadeira, which will be used to prepare the Montaria Reserva 2015. Under the favourable climatic conditions of the Alentejo, the grapes can thrive and fully develop, so that we can obtain the wonderful Montaria Reserva 2015, a full-bodied red wine with a balanced structure that will enchant you with its rich and fruity aromas. - Nose: aromas of wild black fruit with hints of chocolate and eucalyptus. - Mouth: round body with balanced acidity and structured tannins. Long and complex. WINE PAIRING: appetizers, red meat dishes, risotto, pastas, pizzas, vegetarian dishes and dry cheeses. Very good wine, decent price. Pronounced ruby color. Wild fruit aromas with notes of dark chocolate and eucalyptus. Round body in balance with acidity and structured tannins. Long and complex finale. 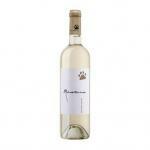 - Nose: aromas of wild fruits, notes of black chocolate and eucalyptus. I had it with cod. Very good. The first person who mentioned this wine to me, was my brother. Red ruby colour with reddish brown tinges. Pleasant smell of tea. The Alentejo tasted like wild berries. 87 pts CellarTracker - Pronounced ruby color. Wild fruit aromas with notes of dark chocolate and eucalyptus. Round body in balance with acidity and structured tannins. Long and complex finale. Red with violet reflections. It smells like sweets. The 2013 tastes a little bit oily in the mouth. We paired it with meat. I would not have drunk it with meat, it was not proper. If you want to buy Montaria Reserva 2015, at Uvinum you will find the best prices for Alentejo red wine. Get it at the best price at Uvinum, comfortable, quick and safe. We offer a large catalog of wine, beer and spirits which turns us into the leading marketplace in selling wine, beer, and spirits in Europe thanks to more than 38.000 customers who shop at Uvinum.